We've got lots of space, tools and materials for all kinds of manufacturing projects. And this is just a small fraction of our facility! We love creating with wood! Our expert craftsmen are up to any challenge. Stratus Industries has over 8,000 square feet dedicated to wood projects and the expertise to build to your design. Our staff has the experience to create the most diverse products, and we love creative challenges. Our customers enjoy our customized products featuring sustainable, reclaimed and urban wood. We are always proud of the finished products we create, distribute and manufacture. We guarantee that our materials will look amazing for a reasonable price. Laser engraving can add a special touch to any product or material. 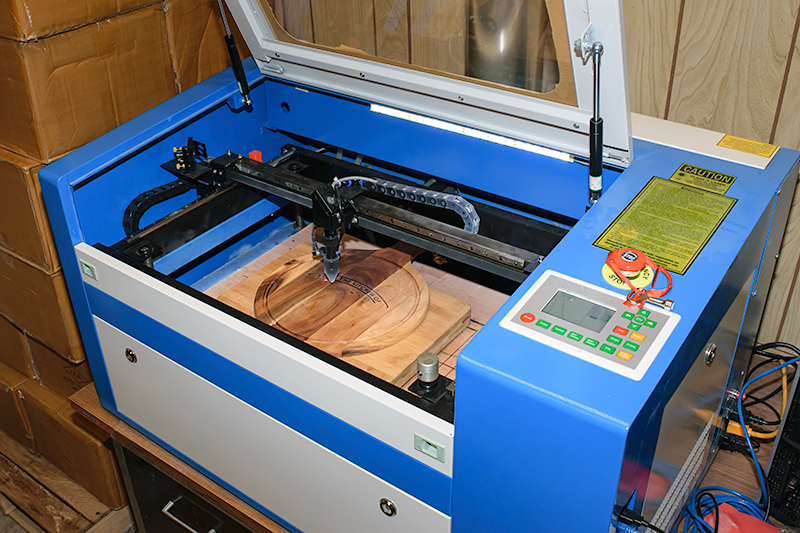 We have 4 laser machines to handle all types and sizes of jobs. Add an engraving to make your products stand out as premium finished works. Engraving or cutting can be a standalone service for advertisements, garments, leather, carpentry, computerized embroidery, packing, tailoring, shoe-making, craft-work, woodcutting and more. Our machines integrate the latest mechanical movement technologies and can accommodate up to four jobs at once, with pieces as large as 24" x 18". We can do both cutting and engraving on a variety of materials such as bamboo, stone, horn, leather, crystal, wood, plastic, fabrics, paper, canvas and some metals. Also, we can help you create cut and graphic files, or you can bring your own to save time and money. Compatible TIF international standard fonts as well as BMP/JPG/JPEG/WMF/EMF/PLT can be used. Stratus Industries utilizes vertical mills and horizontal table routers to provide the finest CNC milling and routing services in Milwaukee. CNC milling and routing can create parts and components to fit extremely precise dimensions and requirements. Using computer-guided tools, the fabrication process is completed quickly and with supreme accuracy. All of our CNC mills and routers operate on numerical control programming systems, letting us machine parts with extraordinary efficiency. The parts can be fabricated in sizes as large as 50" by 26" by 24" to meet your specifications. Stratus Industries' CNC milling and routing services can be tailored to match the exact needs of even your most precise fabrication project. We offer full-service CNC milling and routing of a variety of materials including woods, plastics, aluminum, and steel. Stratus offers precision, high-speed turning services using our two CNC lathes that are capable of parts up to 14” in diameter and 24” in length. We can machine a variety of metal, wood and plastic materials for parts including pins, shafts, collars, spacers, gear blanks, hubs and more. 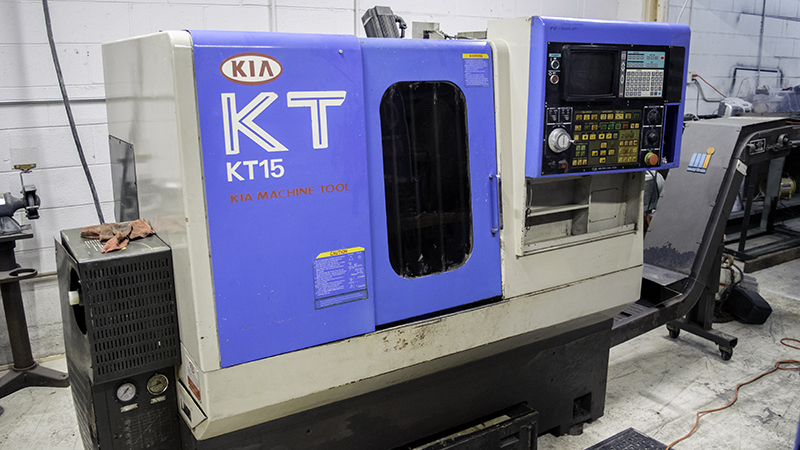 We provide personalized short-run machining services to meet low-volume production needs. Short-run machining is ideal for low-quantity manufacturing needs, and is also useful when trying to speed the process from prototype to full production. We at Stratus guarantee quality, precision and efficiency. Stratus Industries offers comprehensive, in-house welding solutions, from decorative designs to structural pieces. Our advanced process machines support aluminum, steel and stainless steel. Our staff includes a certified welding inspector and certified welding educator. Code welding capabilities include D1.1 - Structural Steel, D1.2 – Structural Aluminum, and D1.3 – Structural sheet steel. Processes include GMAW-P, GTAW-P, and FCAW-G.